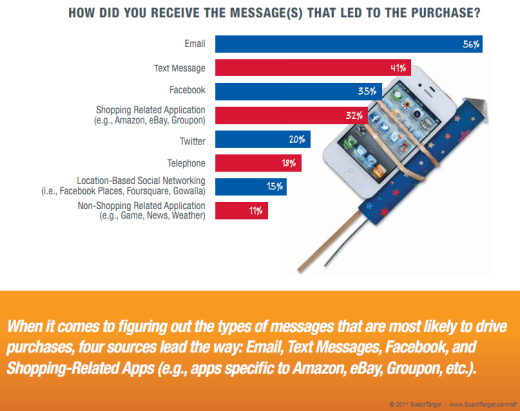 ExactTarget released a study of mobile users and their purchasing patterns (PDF). To function effectively, marketers must embrace one fact: mobile is not a channel — it’s a platform. Or, more accurately, a series of platforms (smartphones, tablets, etc.) — through which marketers can engage consumers, from texting to calling, apps to email, Facebook to Twitter, and beyond. 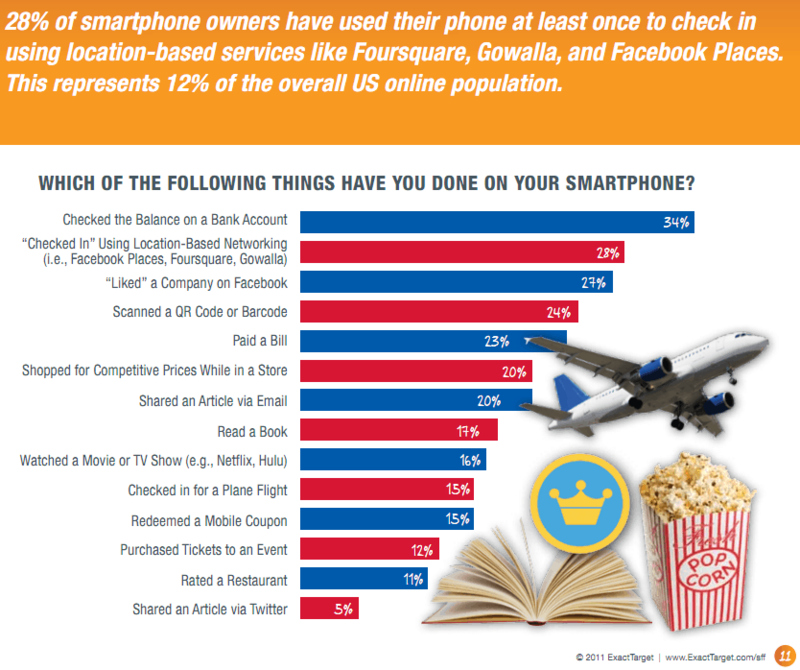 […] consumers control your ability to market through these channels. Been surprise that the most activities they doing is check the balance of bank account. Now i understand why so many company would like provide promotion to their credit card holder so that their banner able to show in the bank website.